Unbelievably there are still some people out there who think mobile is a fad and are still not using it to market their business. The benefits for mobile are huge and it’s potential is even bigger! There are many reasons why mobile is taking the world by storm but here are just 7 that should convince you if you are not already convinced. The mobile is now is part of the family and goes wherever we go. No other marketing channel has this constant contact with it’s customers, all the trusty text message needs is a handset and some phone signal - job done. With other marketing channels it is hard to make sure that your marketing message will get heard or read, well with a text message you can almost guarantee it. With the huge array of companies out there competition is tough and the choice is hard for customers. Most consumers now are looking for the best service to differentiate between companies and having a company that gives such a personal service via text message is what people want to make them feel special. People are addicted to their mobiles and they want to communicate via them. 89% of us suffer from PPV syndrome or Phantom Pocket Vibration Syndrome, which is the believe that your phone vibrated when it didn’t. This stems from our want to be contacted on our mobile. The costs are small and the potential is huge. The engagement rates are 6 to 8 times higher than email. The magnificent little mobile device can now do everything from ring, text, email and surf the web. Search Engine Land discovered that 9 out of 10 mobile searches lead to action. Having great online customer service is crucial in this day and age. Having great offline customer service is simply not enough to effectively own your customer relationship management. If your customers are asking a question or asking for support, they expect you to respond, and in a reasonable time. To build a great relationship online with your customers, it simply starts with this. Make sure to have someone monitoring your platforms at least throughout regular business hours, and if you are a larger company, make sure you tell your customers when you’re signing off for the night. This way they know when to expect service. This is one of the most important aspects to customer service in general, even online! All customers want to know is that you care about them and care about what they have to say. Listen to them, and provide the support and help that you can, and respond to them even when they aren’t complaining or seeking help. Interacting with your community goes a long way. When someone reaches out to you on Twitter, they don’t want to have to go email you or phone you. They expect to receive help and support right on Twitter. Obviously sometimes this is hard to do because of the 140 character constraints of Twitter, but try your best to do this as often as possible. The beautiful thing about social media is that it allows for easy and quick service. Customers expect this, and if they wanted service via the phone, they would have called you first! This will not apply for everyone. It is great to have your support right on your Twitter page, but some companies that deal with a lot of support, may want to consider splitting up their support feed with their regular feed. There’s nothing more annoying then visiting a Twitter page and the entire feed being filled with support responses. If you are a company that frequently uses your social feeds for support, consider having two. For example: Hootsuite has their regular Twitter and then Hootsuite Help. Sometimes people are talking about you and just not directly tagging you. Search for the conversations happening surrounding your brand or product line, and join in on the conversation, as you feel appropriate. Also, seek out people that may be spelling your brand, or products incorrectly. Often, people may make mistakes when tagging you or talking about you. Always be seeking out these people as well, because you don’t want their queries to go unnoticed. These are just some of many useful tips to get you started with developing a great customer service online via your social media platforms. Start thinking about what makes your offline customer service so great, and try and implement that online. This way you’re covering customer service from all levels. Viral vs Shareable Content: Which One is Right for Your Brand? As modern content marketers are well aware, in order to build relationships with new users and strengthen relationships with existing clients, we must tell a compelling story that motivates, rather than read a script to an uninterested audience about why a product is so amazing and “if you buy it, your life will be so much better”. If we’re being honest, our goal, as marketers in the heavily saturated social landscape, is to create content that is shared. Rapidly. Without cease. Once we get over the hill of understanding how to properly create successful content, the issue at hand is understanding the difference between viral content and shareable content and how the right mindset can drastically enhance or demolish your brand's content marketing strategy, and ultimately, impact the success of your business goals. Conversocial recently commissioned a study with Forrester that reveals a lack of ownership and understanding of social media within organizations that could see brands fall behind in the overall customer service stakes. Over half (67%) of companies interviewed believe that social customer service is growing in importance and is the most pressing short-term priority for contact centers in the US and UK. However, only 33% of the social customer service solutions being used by those interviewed were actually selected by the customer service team, with the rest being obtained solely for marketing purposes. Today’s social media users are more demanding than ever of the brands they know and love when it comes to customer service over channels such as Facebook and Twitter. As the social landscape evolves, customers are moving away from traditional communications methods such as email and phone, and expecting more from the conversations they are having on social networks. However, the power struggle between the marketing and customer service departments means that there is currently a disconnect: businesses are failing to put the right technology in place to support the complex needs of social customer service. "Businesses need to realise that social doesn’t just sit with your marketing team anymore. Social media is a primary customer service channel alongside email, phone and chat", said Conversocial CEO and Founder Joshua March. "Our platform alone handles more than 200 requests per minute and 275,000 requests a day, so brands cannot neglect these channels. We believe that marketing and customer service departments should work more closely." This is the seventh in a series of “Best Practices in Travel” posts to be published on this blog. Today, we focus on Online Reputation Management (ORM)! There are 260 million unique visitors to TripAdvisor sites worldwide, with more than 150 million reviews. Yelp, mostly used in North America, has more than 132 million unique visitors to its site, with more than 57 million local reviews. Less than 32% of listed organizations on review sites such as TripAdvisor manage their presence. 77% of TripAdvisor users usually or always reference reviews before choosing a hotel. 50% will do so for a restaurant, and 44% will do as well before choosing an attraction. Yelp, on the other hand, is most popular with restaurants and local services, such as spa, or activities, i.e. ski, golf, etc. Here are a few tips and tricks for travel brands to make the most of their online reputation management. Because of the impact good (and bad) reviews can have on the bottom line, online reputation is usually handled by general managers, PR specialists and owners, but the most important thing is to make sure there are dedicated resources to handle this key responsibility within your organization. Once you’ve claimed your account, the next step is to complete the travel brand’s profile with keywords, amenities, photos and videos to highlight your key selling propositions. Below is the example for the Fairmont Le Chateau Frontenac, in Quebec City, on TripAdvisor. But in this day and age when visual storytelling surpasses text description, brands ought to insert as many photos and videos as possible in their profile as well. Did you know that two out of every three TripAdvisor users want to see pictures from the hotel before making a decision (preferably traveler-submitted ones, however)? When searching for a B&B or attraction on Google, what picture will be displayed in the results? Brands can have a say on this aspect, assuming they have fulfilled these two tips so far. Each have their pros and cons, as well as varying cost structures depending if you are a small inn, independent hotel or chain with multiple locations. Most also provide brands with a scoring mecanism to compare oneself with the competition and evaluate how reputation is evolving over time. Another benefit to consider is the possibility to manage surveys, useful once clients leave the hotel or restaurant, to gather feedback and increase reviews on sites such as TripAdvisor. Small business owners tend to focus on the negative feedback, but if you emphasize serving your loyal client base well, and get them to spread a positive word or two on your behalf, your online reputation will be as solid as can be. Escape restaurant in San Diego highlights review sites in window… and on its outside chalkboard! This is a double-edged sword in my opinion. A study done by Business Insider found that 44% of people on Twitter have never sent a tweet. There are also over 982 million registered accounts but only 241 million are active.This basically means that it's a lot of spam and clutter. However, of the engaged users, it's a great place to spread your content because Twitter doesn't limit visibility. It's almost like SEO. In order to get your tweet seen, you have to really optimize the text and hashtag use to get the most visibility. On other social networks, i'm more careful not to repost content frequently; however, in the case of Twitter it is ok. In fact, it's encouraged! Tweets don't get a lot of visibility amongst all the clutter. Unfortunately, this means you'll need to tweet more frequently. To better optimize tweet times, you can use services such as Manage Flitter Pro or Tweriod to discover when you should be tweeting so you don't have to tweet as often. 3) You don't have to have a following. Unlike sharing your blog content on Facebook and Google+, using Twitter hashtags and @mentions is a good way to get your content noticed even if you don't have a strong following. Social networks such as Facebook make it difficult for your content to go viral if you don't have a strong following. Content isn't being discovered via hashtag and mentions don't really get noticed. If you're tweeting your latest blog post, you can @mention several key influencers and append relevant #hashtags so that your content can be discovered from outside your circle. 4) Much Tools. Very Wow. There are a lot of free tools that allow bloggers to easily publish their content to the web. Twibble.io was built specifically for this purpose. With Twibble.io, you can add as many relevant hashtags as you want so that your content can be discovered. It also allows you to embed the featured image in the post. Social media scientist Dan Zarrella discovered that with 99% confidence that Tweets using pic.twitter.com (inline images) are 94% more likely to be retweeted. We are visual creatures and it makes sense that we stop to look at images. With twibble.io, you can easily feed your blog content to Twitter with beautiful images in every tweet. Over the past few years, there has been an exponential growth of the social networks. Without implementing a relevant social media strategy, there is a risk that the brand’s online reputation will perish. On the other hand, a robust strategy can spur word-of-mouth publicity and get people talking about your brand. While there are many valuable components of a social media strategy, the key focus at present is on content marketing. Content marketing, in this respect, means blog posts. A brand has to ensure that their blog posts are heavily shared on reputable social networks. There are 2.7 billion internet users around the globe, yet your content might not be easily read, shared or seen. But why? The answer is quite simple. There are many other companies out there in the market. They are also trying to entice web audiences with their blog posts. Why would a social media user read your content, filtering out all the other brands’ posts? Is it because you are writing great content? But how do you know that the others are writing trash? Even many great posts do not get enough shares on social networks. Want to write the type of content that will experience maximum shares on social media? You need to understand the kind of topics that are most popular on these platforms. For that, you do not have to go through a series of guidelines telling you how to enhance the number of likes for a social media post. Instead, closely study the behavior of your friends on the social media platform. Try to understand the kind of posts they like and share most and write accordingly. All these posts, which have been shared on these platforms, have compelling images. It is observed that these images play a significant role in enhancing social media engagement. However, the insights they offer are not the principal guidelines that you have to follow blindly while posting a blog in your social profile. Study the sharing pattern of the people in your page and think whether the pattern of content you are considering will get traction? Do you know the reasons for which your audiences will like to share the content? To enhance the shares for a post, it is also vital to find an ideal time to publish your content. Though, you may come across several websites that suggest the appropriate time to post on the social media profiles, you can know that only through a trial and error procedure. Select a software like Bufferor Hootsuite that will allow you to post to multiple social networks at specific times. Plan for a week and be ready with two to three varied posts. Include meaningful photos in either one or two. Share these contents at different times of the same day. Look at the kind of engagement each share receives. Whether the posts, which include images, are read most? Who engages at what times- all the data need to be measured. It will enable you to work out the best times to post in different social media profiles. So, there are no shortcuts to generate traffic for your social media profiles. You have to continue with your trial and error methods to come up with the best approach that will make your posts get enough shares. Facebook’s control over the content that appears in users’ news feeds has rightfully been a hot topic of late, but the impact this has on our social media marketing efforts is really only half of the story. The other half of the story, of course, is the impact it has on users. It’s understandable that the massive decline in organic reach that many businesses and brands are experiencing is the primary focus of many posts and discussions here on Social Media Today. After all, we all clearly have an interest in the use and practical application of social media for marketing purposes. Interestingly, there is little talk about the impact that Facebook’s algorithm has on the average user. Unlike most media channels that offer users a vastly open experience allowing and encouraging personal discovery, selection and choice, Facebook has effectively stripped these attributes from the experience they provide. Because the vast majority of time on Facebook is spent on the news feed, Facebook’s algorithm is effectively picking and choosing the media that users consume. Imagine any other media channel following a model like this. We’d be running for our pitchforks! Okay, that’s maybe a little dramatic, but the point is that we certainly wouldn’t be happy about it. It used to be that ‘liking’ a Page on Facebook was indication of a choice that a user made to allow the content of that Page to be visible in their news feed. It’s that promise, the freedom of choice, and the personally influenced customization of experience that Facebook has essentially eliminated from their offering that was a reality not long ago. The good news is that we can, and the solution is simple: Create interest lists. Interest lists allow Facebook users to create custom feeds of content that is published by the Pages of our selection. No sponsored posts (except those that are sponsored by the Pages we choose for inclusion in our lists). This immensely underutilized feature allows you control the Facebook content that you want to see, with no outside influence. Even if you have no qualms with Facebook’s algorithm and the selection of content that they deem to be important to you, Interest lists can still be amazingly helpful. Consider creating lists to conduct competitive research, stay in-tune with categorically relevant happenings, educate yourself, grow your skillset, follow personal interests, keep up with the latest Internet memes, or keep your ear to the ground for special offers and discounts. Whether you’ve been rubbed the wrong way by Facebook’s seizure of control over your news feed, or haven’t given it much thought at all, there’s no denying that utilizing Interest lists can enhance the potency of your Facebook experience. It’s time to list-up. A viral story that outraged millions and turned the nation’s collective disapproving gaze directly at KFC was all a hoax - according to KFC. The KFC in Jackson, Miss., never asked three-year-old Victoria Wilcher to leave its location on May 15 because her facial scars were disturbing – despite the thousands upon thousands of tweets and shares claiming KFC’s heartless actions took place. Unfortunately for KFC, in the eyes of social media, they are villains. After all, who would believe KFC over the plight of an adorable child who sadly lost her right eye and sustained facial paralysis after a pit bull attack? Naturally, KFC is in the wrong – even if the incident never happened. According to the Washington Post, People Magazine, Yahoo News and more, KFC is in the throes of damage control as it investigates the incident. According to KFC, the incident never happened. Reports allege the little girl’s family initiated the social media hoax, although the family maintains the incident is not a hoax at all. Still, The Laurel Leader-Call in Mississippi is calling the incident a fundraising hoax — specifically, a Kentucky Fried Hoax. "We have taken this report very seriously from the beginning," KFC spokesman Rick Maynard told Yahoo News. "Since our franchisee was unable to verify the incident in their internal investigation, they hired a third-party consultant to conduct an independent investigation to help resolve the matter. Along with our franchisee, we remain determined to get to the truth and address the situation appropriately." Still, anytime a multinational food conglomerate picks on a little girl, no one wants to hear anything but an apology from its spokesperson – whether or not the incident really happened, right? If thousands upon thousands of people are tweeting about it, it must be true, right? As KFC works to determine what actually happened, the family is holding to its position that they are standing in the glow of the truth. Despite maintaining its innocence as a third-party investigation (launched by KFC) kicks off, the fast-food restaurant committed $30,000 to help pay the little girl’s medical bills. Assuming the incident never took place and the social media frenzy over it really was just fuel for a hoax, KFC is the victim. Here are four tips to face a social media hoax with authority, integrity and dignity – even if the world thinks you are in the wrong. Take Control - Fast: An allegation was waged – an opinion cast. Face it with honesty. Do not immediately rush to dispute. Do rush to acknowledge. Recognize concerns. Control the situation. Take steps to investigate and be ready to share your findings. At all times, portray an honestly and sincerity – demonstrate integrity as you seek out the truth. Leverage social media to reflect your position and share updates. Reach out to appropriate media sources to convey your position, concerns and actions. Issue a press release if necessary – demonstrating your commitment to righting a wrong, or correcting a hoax. Stand Your Ground: Keeping your integrity intact, stand firm that you understand all concerns and viewpoints. Maintain control of the situation by issuing frequent, appropriate social media updates. Do not engage in direct defense updates or shares. Simply state the facts, as you know them and as they are uncovered. Remember you are not only working to rectify an unfortunate situation, hoax or not, but also to maintain positive online reputation in the process. Accept Responsibility: If investigations result in the hoax being verified, accept responsibility. If your business, organization or employees are in the wrong, seek out appropriate legal counsel, as well as public relations, media relations, social media and online marketing support to best address the situation in the most professional way possible. Retain humanity in all correspondence. Keep professionalism high. Work with internal teams, human resources, employee communications and internal channels to manage concerns inside and outside your doors. Demonstrate grace and fairness. Keep social media updates to an absolute minimum, sharing what is necessary to demonstrate any regret or accountability – and best practice steps in place to make everything better. Move On: If investigations result in the hoax being validated as a hoax, move on. Don’t dwell in the role of victim. Issue a clear statement. Share concise social media updates. Do not wage a war to reposition blame. Show mercy. Then, file the experience away and move on to more important tasks. Recycling your blogpost is not about being lazy and spinning your old content. It’s about re-visiting a topic that matters with added value and to continue the dialogue. Perhaps you previously wrote a blog post about a timely topic - odds are that there are more recent developments on that topic - those developments are likely of interest to your audience. Or maybe the information or recommendation on a previous post has changed. Or you wrote a high-traffic post that has had tons of traffic and visitor comments and you wish to continue on that momentum. There are plenty of reasons to turn that old, original content into something new. In The Ultimate Guide to Repurposing Content, Kevan Lee of Bufferapp listed the following benefits in recycling old content. Save time in content-creation process and focus more in marketing - “Create Less, Promote More” for the win. Generate additional opportunities to target desired keywords and get an SEO boost. 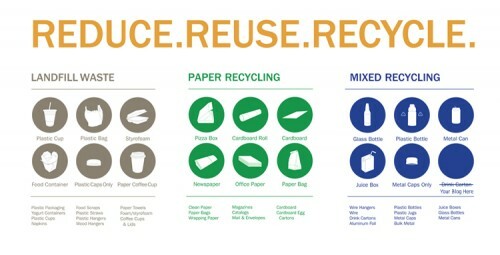 Reach new audience via recycling your old content for different mediums (think multi-channel marketing). Reinforce your message via repetition. In the following infographic I have listed 7 different ways to recycle your old blog content. Who says you have to spend thousands of dollars for a spectacular marketing campaign? With social media, both big and small businesses alike can compete for their target audience’s attention. All it will take is a strategy, a little creativity, and these steps to make a social media marketing campaign that can’t be beat. Know exactly how many times you are going to tweet or post to your other social media networks per day. You shouldn’t tweet so much that your followers are beginning to tune you out, but you should tweet just enough so that your business stays on the minds of your audience. The number can be adjusted, but I recommend posting a status update or tweet about 4 or 5 times throughout the day. Once you have this number decided, keep your posts consistent. Try to post something at the same time every day so that your followers will know when to expect it. If people are leaving comments, questions, or concerns for you, make to respond as quickly as possible. This will show your readers that you care about how your customers feel. Even if someone posts a problem they have had with your products or company, try to resolve it through social media. If you are leaving questions or comments unanswered, this will have them feeling dissatisfied with your company and most likely seeking the help of your competitors instead. Great customer service can go a long way for your business’s reputation. Depending on what social media tool your customers use the most, utilizing each social media tool will reach a larger audience, as well as those people who only use one specific social media website. Don’t forget to keep your Google +, LinkedIn, Facebook, and Twitter pages updated since those are the ones that are the most popular. Do a little digging to find out what social media tools your major competitors are using to get an idea of what you should also be incorporating into your social media campaign. 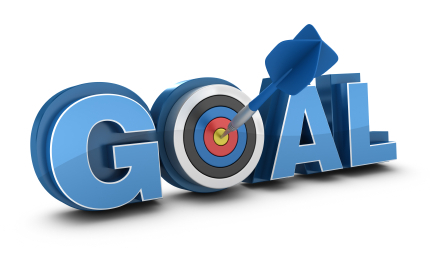 Having a goal will do no good if you are not tracking the progress of your campaigns. Some areas that you should be tracking are the follower growth, page views, post likes or shares, and impressions. These 5 tips will help lead your marketing strategy down the road to more brand awareness and communication among your customers.